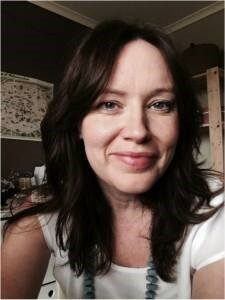 For more than 10 years Therapist and Educator Jodie Davies has passionately supported women and their communities through healing and transformation. Creating Lilac Tree with a vision to provide a genuine nourishing space for women's growth and empowerment that offers progressive, quality therapeutic experiences. Jodie has consulted in various organizations and workplaces, and has developed and facilitated successful growth and empowerment programs for women, becoming a passionate advocate for the development of foundation skills for Self Careand Emotional Literacy, with a particular focus on creative engagement as a pathway to establishing a positive inner relationship and healthy self esteem. Jodie's education and experience spans across a range of therapeutic models including Professional Counselling, Psychotherapy, Art and Expressive Therapies, Group Development and facilitation, and a range of Allied Health modalities. "I am really glad you're here, considering taking steps for your own self care. Through my time spent in support of women I have witnessed profound courage and resourcefulness beyond measure, along with a common story of 'overwhelm' with the complexities we juggle daily, both internally and externally. It is sadly commonplace to see women experiencing ongoing Stress, Anxiety and Depression symptoms and Low Self Esteem. Many women are finding it difficult to put themselves on the Map of their own life, to feel a sense of value and purpose, and a connection to what makes them come alive. Through my own journey as a growing woman, I have discovered that despite what happens around me, it is `my Inner relationship', how I feel about me and what I believe about my world that most powerfully determines my life. I have discovered there are boundless loving resources available within me that can heal, support and inspire me through anything. Most of all I understand that my value, ‘A Woman’s Worth’ is of profound importance for the flourishing of our planet and those we love. It is this knowing that fuels my passion for providing space for YOU, with access to quality therapeutic care and nourishing experiences that honor your holistic needs, where you feel genuine support and are truly EMPOWERED with the missing tools and awareness to move beyond pain, struggle and limiting patterns, toward becoming a full and powerful expression of who you truly are. I am honored to share space mentoring this process in YOU, Lets Co-create an authentic, wholehearted Life YOU Love! Jodie :) "